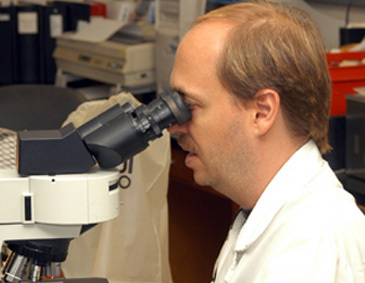 The Bureau of Laboratory Services of the Houston Health Department is dedicated to providing high quality clinical and environmental laboratory support. The Bureau also serves as a regional laboratory for Texas Public Health Region 6 and a reference laboratory for area medical facilities. A wide variety of tests and services are available within the Bureau of Laboratory Services. However, if a needed procedure is not described in the Laboratory Services manual, call the appropriate laboratory section or the Chief, Laboratory Services. We may be able to help. Tests are made available to Public Health agencies, area medical facilities, veterinarians and , in some cases (potable water testing) to private individuals. For other than HDHHS facilities, a fee is normally charged to cover the cost of providing the test. To receive a fee schedule, please call 832-393-3900 or visit the City fee schedule page. Some files in this section are Adobe pdfs. You will need the free Acrobat Reader software to view this files.